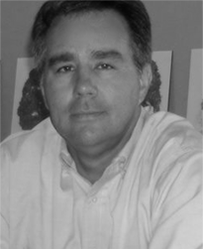 Michael has been one of Atlanta’s leading residential designer’s for over 25 years. Early in Michael’s career, he joined the architecture firm of Steven Fuller Inc. where he developed his keen sense of integrating functional design with classic architecture form. In 1991, he then went on to establish a new venture “Michael Swilley Design Group”. This new design group allowed Michael and his small team to achieve his two main goals for each project he undertakes: to perfect a client’s vision of their home design and instill his creative knowledge and imagination to execute a home design, timeless in both function and style. The Michael Swilley Design Group is a small and intimate design firm. Remaining a smaller firm has allowed Michael to “stay connected and involved with the design of each project” from beginning to end. “Often with a large design firm, a client will meet with the main Designer or Architect only to be passed to someone else to design their home. I want to be involved through the entire design of the project and give the client my full attention and imagination”. Michael Swilley and Brian Santoro have worked closely for more then fifteen years on many of Atlanta’s premier custom homes. That experience coupled with a mutual respect for each other’s talents has strengthened their focus and commitment in working together to provide Santoro Signature Homes clients a seamless design-build experience that executes inspired homes reflecting the intimate desires of their clients.